It is said journeys end in lovers’ meeting. Today’s political yatras end in rivals clashing. Dynasts may control or practically own parties, but they have to endure the heat and dust of chasing the ballot through forgotten village lanes and the claustrophobic warrens of small towns to prove their democratic bona fides. Genetic supremacy dominates the DNA of Indian politics, legitimised by the instrument of elections. Come poll time, many political yatris crawl out of the woodwork to seek the blessings of voters, who they suddenly start worshipping as political deities. Next week onwards, the scions of two powerful political families will hit Uttar Pradesh’s roads to seek a mandate for their leadership. Indian politicians have borrowed the concept of road shows from the West, which are used to raise money for corporates. The best way to grab headlines and achieve political connectivity may be to embark on a yatra on customised AC vehicles and crisscross the land, waving at the crowds and smiling so much that the dimples hurt. The special effects are schizophrenic—an occasional live-in-a-Dalit-owned-jhuggi to contrast with Town Hall interactions, both meant to mesmerise the populace and the media. This spectacle will turn UP into an electoral hippodrome for the next few months. Political yatras are a permanent feature of India’s electionscape. In UP, they have become journeys of survival. While both BSP Chief Mayawati and the BJP will take out small yatras, it is the electoral travelogues of the political inheritors of the Nehru-Gandhi and Yadav legacy, which will be watched with interest. Both CM Akhilesh Yadav and Congress Vice-President Rahul Gandhi have decided to emerge from their cocoons to interact with their cadres and inform them about the virtues of the parties they lead. Expectedly, both have ideologically christened their yatras. Yadav will lead a Vikas Yatra. He feels that as the youngest CM of India’s most populous state, he has put UP on the fast track of development by creating a modern Metrorail network, better roads, new cycle tracks, launching women empowerment schemes, improving wildlife sanctuaries and setting up infrastructure projects. His government holds the world record for planting over five crore trees all over the state in a day. It is about to set another by completing over a 300-km eight-lane state highway in 18 months. Even though the law and order situation in the state has worsened, Akhilesh wants to use the yatra as a propaganda machine to convey to voters that the SP government has brought the poverty and crime-ridden state on the ‘vikas’ track. He has hired specialist agencies to plan a 5,000-km tech-driven yatra, which will cover the state’s 73 districts and 403 Assembly segments. Even in 2012, Akhilesh undertook a similar yatra, which bagged him over 220 seats and a little over 29 per cent votes in the state elections. Father Mulayam Singh Yadav used to fight elections using social engineering based on caste and communal equations. But Akhilesh won the last round thanks to the dynamics of dynasty and pedigree. Anti-incumbency emotions against his predecessor Mayawati also helped. This time he wants to win on the basis of performance alone. But he has competition in India’s most visible Gandhiputra. Rahul has been advised to avoid short shoot-and-scoot appearances and spend maximum time on the road. From early next week, he will start the longest yatra of his 14-year political career. 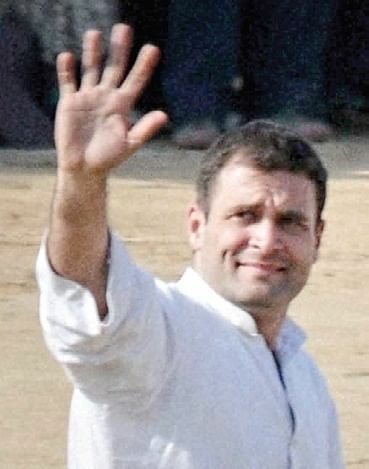 With ill-health preventing his mother Sonia Gandhi from undertaking a political campaign, it is now left to Rahul to prove that he has earned his place in national politics through the democratic process and not just by the virtue of lineage. The mini road shows he undertook in the past didn’t bring him much political dividends. He campaigned vigorously in the UP elections of 2007 and 2012, but the Congress won barely over two-dozen seats. Its vote share has declined sharply since then. Uttar Pradesh, which gave India three of its four PMs—all from the Nehru-Gandhi Parivar—who ran the country for about 36 years, has denied the family a chance to rule the state for the past 26 years. Along with the Congress leadership, Rahul has also inherited the task of varnishing the Gandhi political aura by winning a mandate from the state. Ever since Sonia took over the leadership of the party in 1998, both mother and son have been avoiding any mass contact with workers except in Amethi and Raebareli. They were under the impression that the historical vortex of Force Gandhi was powerful enough to pull in voters. Sonia succeeded in restoring the Congress at the Centre in 2004 and 2009, but could not retain control over most states. Her party, which ruled two-thirds of states in 2000, today lords over less than one-third—most of which are tiny. In this context, only a reasonable victory in Uttar Pradesh can re-establish Rahul’s credibility as the future leader instead of the liability he is accused of being for the party. The Jan Jagran Yatra is his political compulsion rather than a sassy strategy. 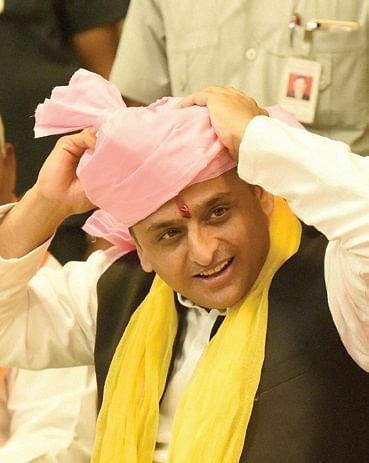 He has chosen as his playground the upper caste-dominated eastern UP to woo traditional Congress supporters who had moved towards the BJP or BSP over the past three decades. His yatra will begin from Deoria and will cover 2,500 km in almost a month. He will travel through 55 of the 80 Lok Sabha constituencies and 223 Assembly seats spread across 39 districts. Unlike in the past, when he would just stroll through mohallas, Rahul will energetically address street corner meetings. He will try to bring back to the fold Dalits, Brahmins, Muslims and farmers who form the party’s traditional vote bank. For the first time in UP, two leaders of almost the same age and mien will engage in a duel to secure a democratic mandate for their dynasties. While Akhilesh wants to retain Lucknow, Rahul is fighting to imprint his political acceptability in UP that was once his family’s cradle. For Akhilesh, victory in the state is the escalator leading up to the national arena. If he wins for a second time, the tread of another scion’s yatra will be heard on the road to Indraprastha, challenging both a Gandhi on the move and India’s most powerful and popular chaiwala from Gujarat who is redefining the idea of India from Race Course Road.